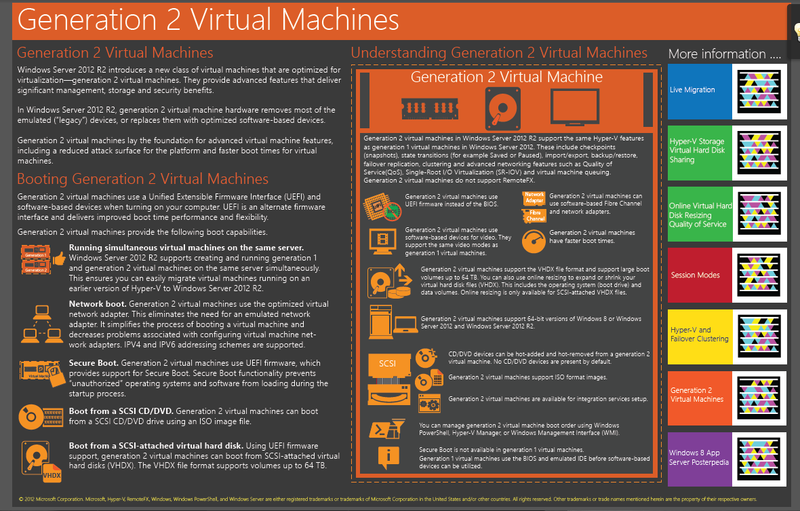 Windows Server 2012 R2 Hyper-V Component Architecture Poster and Hyper-V Mini-Posters | Chinny Chukwudozie, Cloud Solutions. ← My Frustrating Experience with the Exchange Trusted Subsystem USG. This entry was posted in Generation 2 Virtual Machines, Hyper-v 2012 R2, Windows Server 2012 R2 and tagged Gen 2 VMs, Hyper-v 2012 R2, WS2012 R2. Bookmark the permalink.